My 1st post at Classroom Tested Resources was posted yesterday! It is full of ideas for using poetry in the elementary classroom. 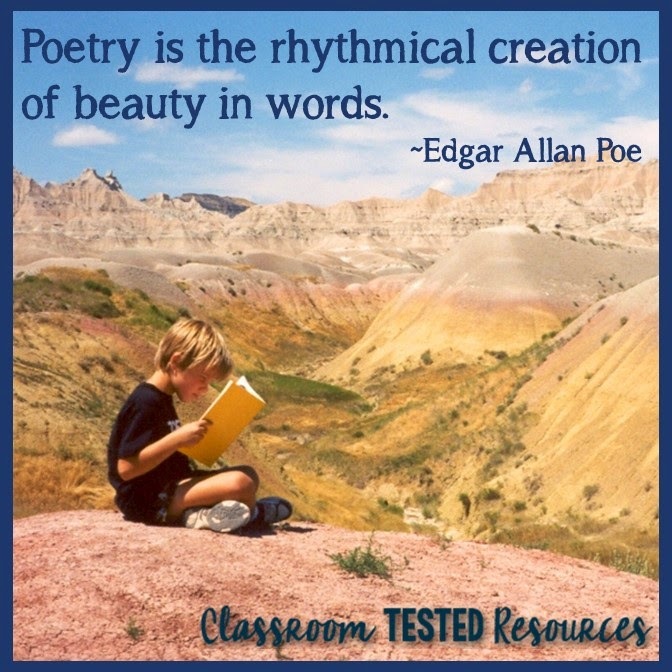 You’ll find resources about finding poems and how to use them in your classroom. It’s a great time to get prepared for National Poetry Month which is in April and Poem in Your Pocket Day which is April 30th. 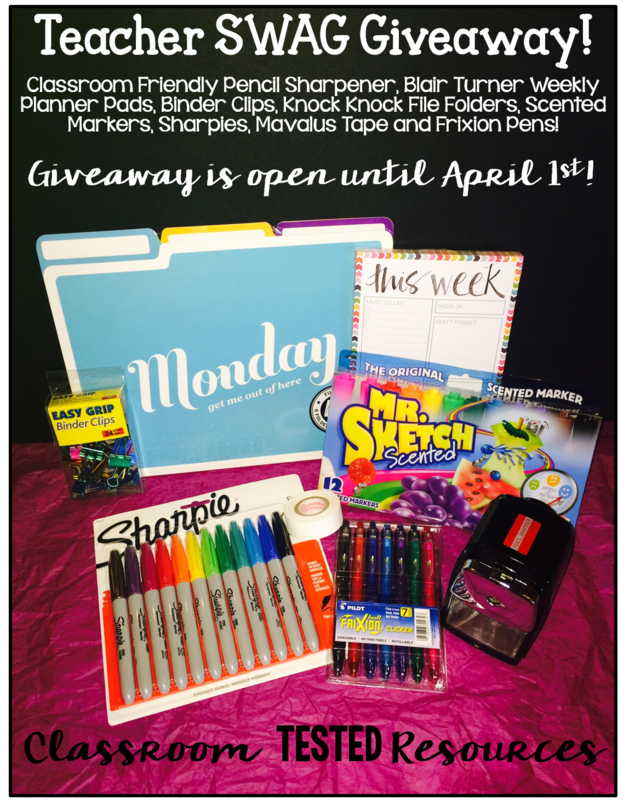 Hurry over to the blog so you don’t miss out on the amazing Teacher Swag giveaway. I don’t know about you, but I can never have too many markers in my classroom! Those Mr. Sketch markers are awesome for making anchor charts. So, enter today! Good luck! I was asked to write a blog post for Accucut Education. It’s called Let Them Color. 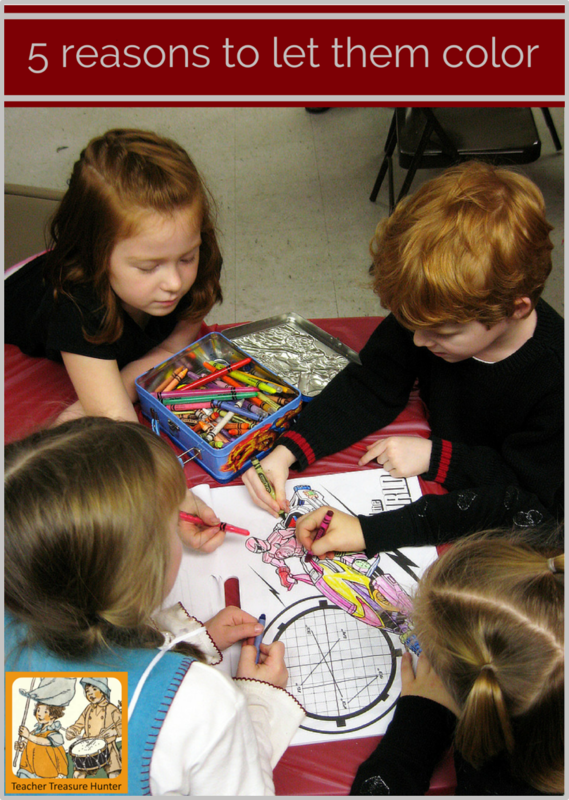 I was asked by another teacher recently if I let the kids color pictures on worksheets and papers and if so how long they should color. I thought that was a really good question. We have so much that we need to get done each day. Should we just skip all the coloring? Read my response and let me know what you think by leaving a comment. It’s Spring break here! I am beyond excited! These past 3 weeks have been incredibly busy and I don’t think I could have made it another day. 🙂 There is a reason that we need those break days in our calendar! Have a great week! « Classroom Tested Resources ~ Blog launch and giveaway!